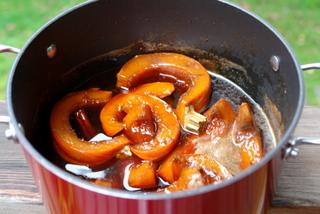 Dulce de zapallo, also known as zapallo con miel de panela, is an Ecuadorian dessert that consists of squash or pumpkin simmered in a syrup made with panela/piloncillo or hard brown cane sugar and spices. 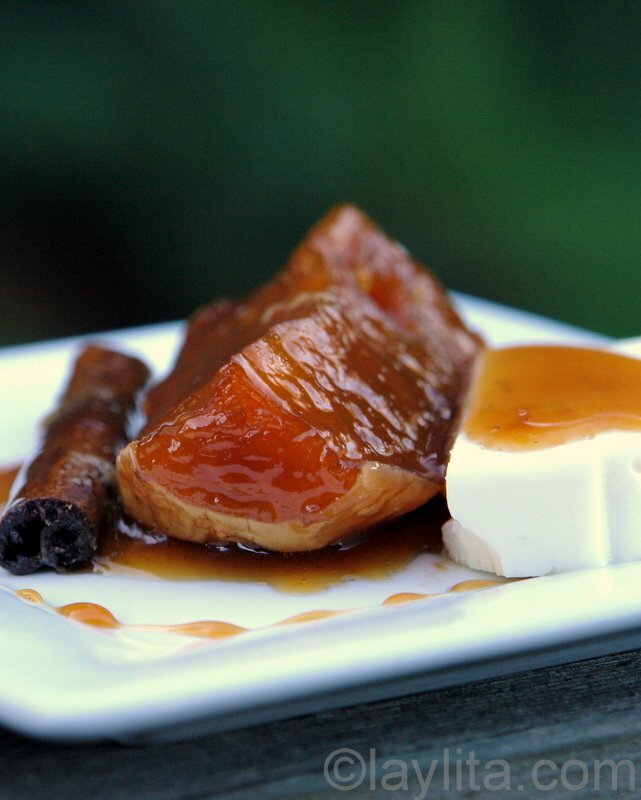 This dessert uses simple ingredients and is very easy to make. I am one of those people who like sweets, but I get overwhelmed if it is too sweet. The sweetness of the candied pumpkin or squash is neutralized when served with a slice of fresh cheese; it that provides a nice contrast to the sweetness of the squash and the syrup. 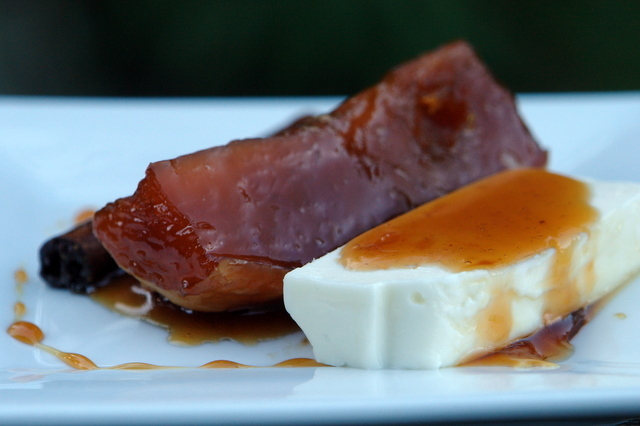 You can use a fresh farmer’s cheese or queso fresco or fresh mozzarella. 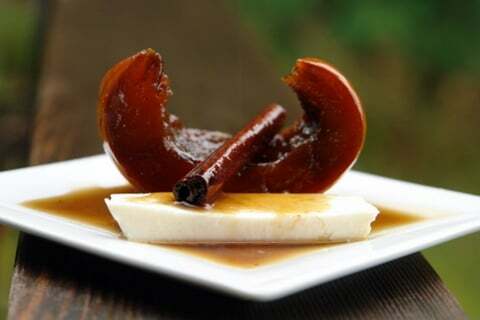 If you are in the Seattle area I recently discovered a local artisan cheese maker called Samish Bay Cheese that makes a cheese very similar to quesillo – a very fresh cheese we have in Ecuador-, they call it Ladysmith and it is very creamy and goes perfect with this dulce de zapallo. They also make a delicious queso fresco. 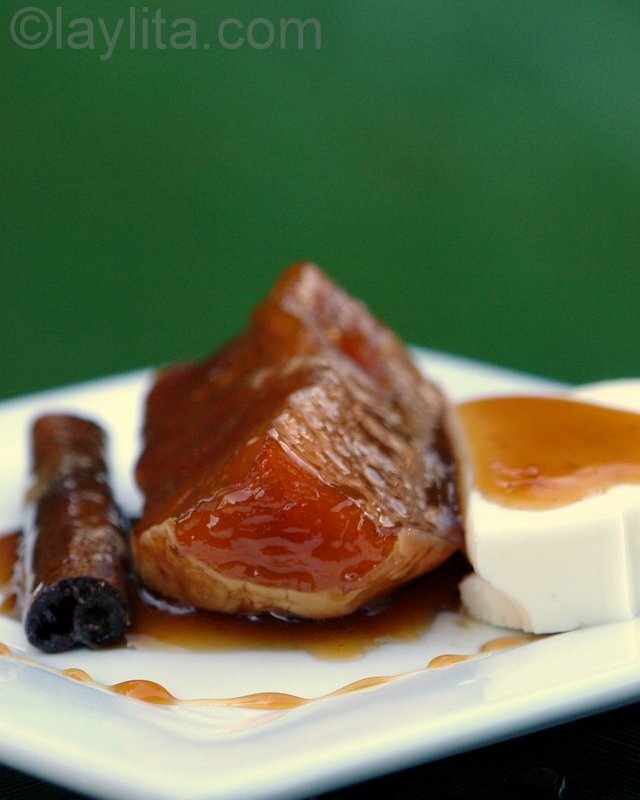 They have a stand at some of the local farmers markets and are also at Pike Place Market on Fridays and Saturdays.You can serve the dulce de zapallo as the main dessert or also an introductory dessert or as part of a cheese course. 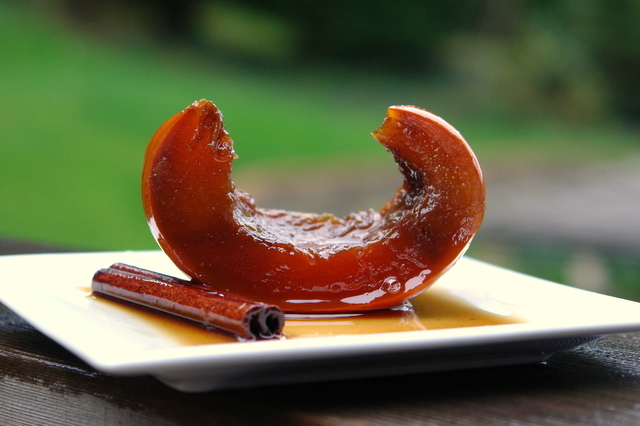 I also like to use dulce de zapallo or candied squash as a replacement for pumpkin puree in desserts like pumpkin pie or pumpkin tart. 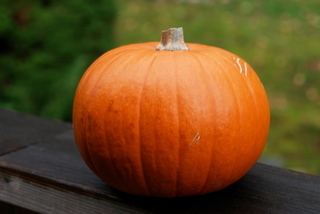 It also works great for pumpkin flan or as a filling for pumpkin empanadas. 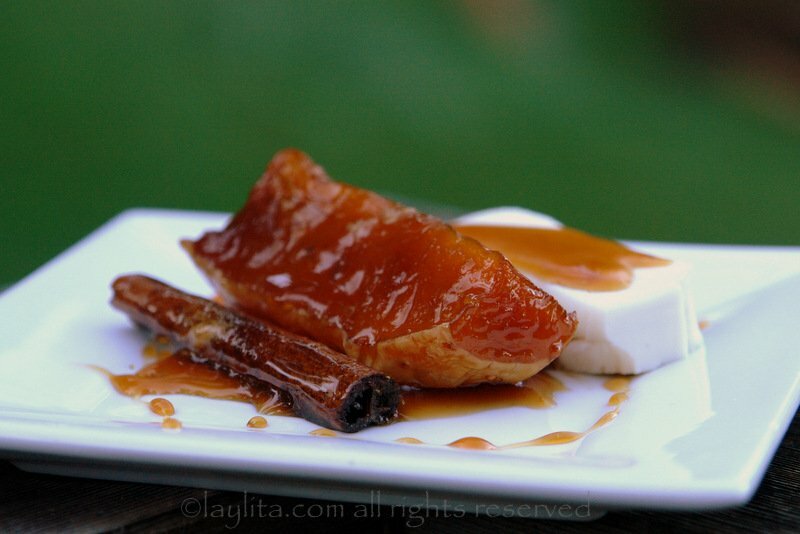 The spiced pumpkin panela syrup is also delicious drizzled on top of pancakes/waffles, cakes and ice cream. 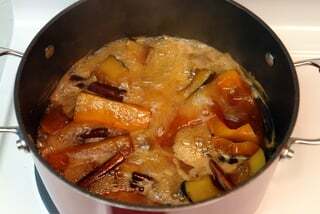 Dulce de zapallo or calabaza is a dessert made with squash or pumpkin simmered in a syrup of panela or piloncillo (hard brown cane sugar) and spices. 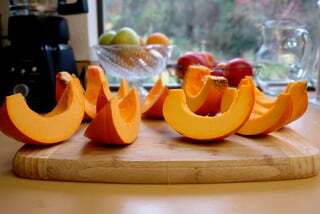 Wash the squash well, slice it open and remove all the seeds and membranes. 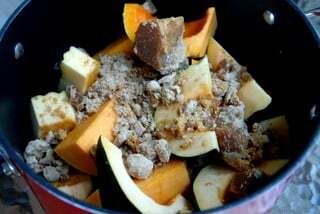 Cut the squash into medium sized pieces and place them in a large pot with the chunks of panela and spices. Add the water and bring to a boil over medium heat, boil for about 30 minutes with the lid on. Uncover and simmer for about 1 hour or until the syrup thickens. Remove from heat and serve warm with a slice of fresh cheese. 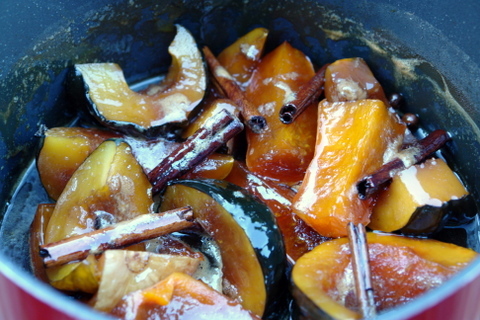 The type of squash used to make this dessert in Ecuador has a green colored skin –very similar to the acorn squash – but larger, sometimes they have a long shape or sometimes they are very round, similar to a pumpkin; also, the flesh is yellowish orange, closer to a pumpkin or a butternut squash.Since the varieties of squash here are different I tried making the dulce de zapallo with different types to see which works best, I tried pumpkin (back in the fall they were in season) as well as butternut squash and acorn squash. 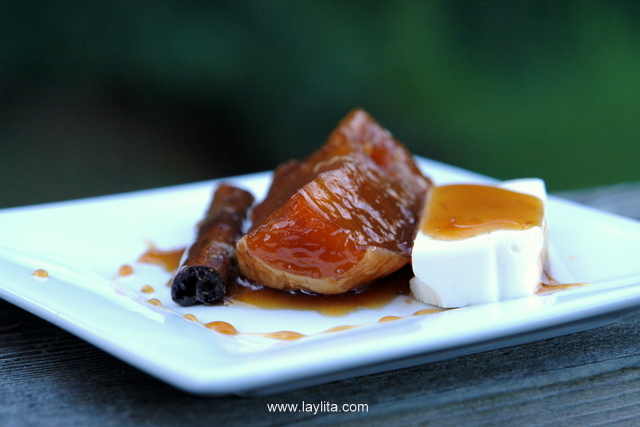 The dulce de zapallo made with pumpkin was very good –should probably call it dulce de calabaza. The acorn squash was a disappointment, it lacked flavor and didn’t absorb the panela and spices compared to the butternut squash which had great flavor, perfect consistency and a nice color also. So my recommendation is to try this with butternut squash or pumpkin (when they are in season). 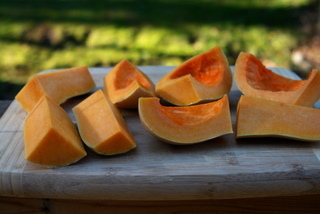 I also recommend buying an organic squash or pumpkin for this dessert since you will be cooking the skin. 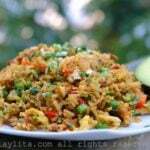 Hola Layla, what did you serve it with in the picture? or what would it be served with traditionally in Ecuador? I imagine something tangy to cut the sweetness. I’m planning to make a similar recipe for an assignment on a product development for culinary school and the can it. In Uruguay where im originally from, we make it, but we use unslaked lime (cal viva) in the water and cut it in cubes, so it gets a “seared” firm outside with a soft puree like inside that bursts when you eat it. 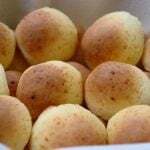 Hi Gaston – In Ecuador we serve it with a fresh cheese called quesillo or with queso fresco. It helps balance out the sweetness and also gives that sweet and salty contrast. I need to make this for my daughter’s 4th grade Mission report…there are 32 kids in the class, so I need to figure out how many this recipe serves, before I can determine how many times to multiply it . Thanks!!! Hi Laura – It’s very sweet, so usually just a small serving or tasting will do. One squash should be enough for about 15-20 small portions, so for your daughter’s class I would recommend doubling the recipe. If you have any leftover you can use it as a filling for empanadas or even as tart/pie filling. Thank you!! Also, I have to make it tonight but not serve until noon tomorrow at school, so it won’t be warm. More like room temp. Oh well. Should I just leave it in the pot on the stove tonight or refrigerate it, and reheat tomorrow would you suggest ? It’s making my kitchen smell amazing right now !! Serving it room temperature is fine, I would just leave it out overnight. I am so excited to have found your postings. I am from Peru and live in Seattle so it is great to be able to have access to the places you recommend to get the ingredients (if necessary). Looking forward to your future entries and this does look delicious. Thanks! This looks like a perfect base for the pumpkin flan that I wanted to intensify a bit (and I see you have a pumpkin flan recipe, so i might just use that instead of my usual). I would like to verify that the skin can be eaten on the final product? 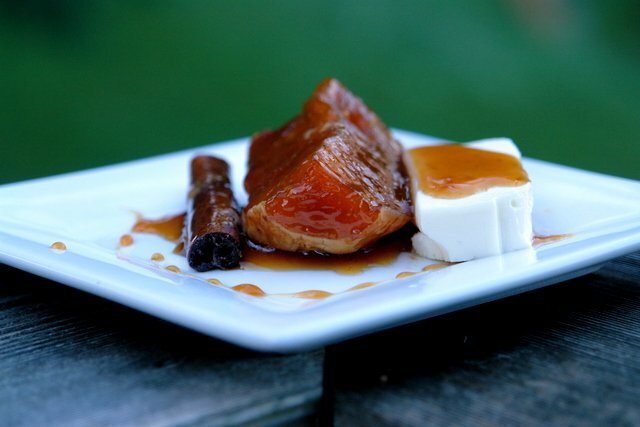 Also, when this is processed/mashed for the pumpkin flan recipe, do you include the skins as well? I don’t eat the skin and do remove it before mashing for the flan. It’s very easy to remove using a spoon to scoop out the pumpkin. perfect! thanks so much for the quick response. i’m very excited to try this for thanksgiving this year! Wow….will try this with my fall pumpkin sitting on my counter ready to carve for halloween… great way to use up that wonderful pumpkin. Never thought to pair it with cheese…excellent. Mary from Tx/now AZ. This looks wonderful- I am going to try it with one of the delicata squash sitting on my counter! i’ve tried this recipe by baking but i can see how the flavors would be absorbed so much better on the stove top. love the idea of pairing it with a fresh cheese. This looks like a WONDERFUL alternative for a Thanksgiving dessert. Your website brings back very fond memories of my trips to Ecuador. ¡Gracias! I was wondering if you though this would be a good recipe for canning/jarring. 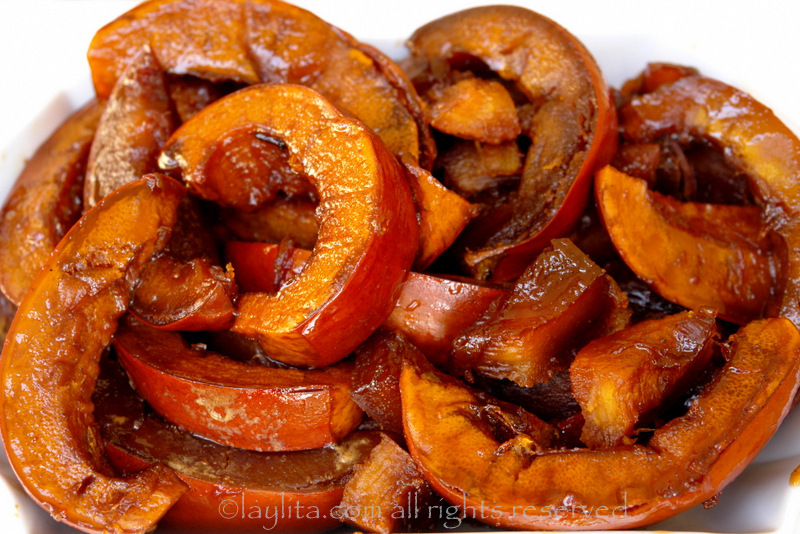 This recipe reminds me of Dulce de Lechosa a candied papaya my grandmother would make in PR. As I’m eight months pregnant and have been in a canning frenzy lately I though this would be a great treat to have around, but know that I will not have time once the baby is born. Also it is definitely pumpkin/squash season here in NZ. That looks delicious, and those photos are way fabulous too! What a fascinating recipe! My sister lived in Ecuador during college, I’m going to ask her if she ever had this. Maybe I’ll make it for her as an extra special treat! 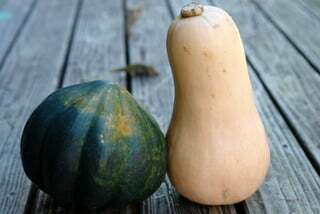 Have you tried kabocha? Japanese often like to eat it with the skin, or with it trimmed off in strips. The flesh next to skin is supposed to be the tastiest. That recipe sounds really interesting! A fabulous and original dessert!